The Nash-Healey was the result of a chance meeting in 1949 onboard the steamship Queen Elizabeth between Nash President George Mason and British sports-car manufacturer Donald Healey. Nash had a strong base of manufacturing and a solid dealer network in the US, but a rather conservative product line. Donald Healey saw a way to enter the American market with a huge advantage. By the time the ship docked in New York they had agreed that Healey would build a sports car with Nash supplying the running gear and the cars would be sold in the US through the Nash dealerships. 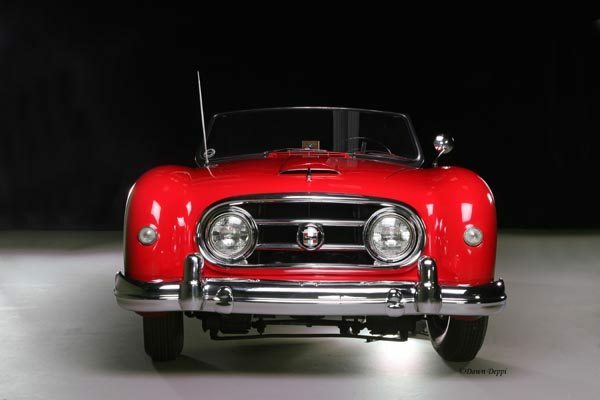 The first batch of 104 cars were built in late 1950 and early 1951 and featured a simple ladder-frame chassis with all alloy coachwork and featured the 3.8 liter Nash in-line six cylinder Ambassador engine. The performance was adequate but the styling was dated – so it was decided to re-work the coachwork for the 1952 production model. Italian master coachbuilder PininFarina was supplied with a rolling chassis and engaged to create and finish the car in Italy. Race participation with a much modified car at Le Mans in 1951 had brought good press and public attention, so the Le Mans nomenclature was added to the prospective new roadster. No cars were built from April 1951 until the just before the launch at the Chicago Automobile Show in February, 1952. 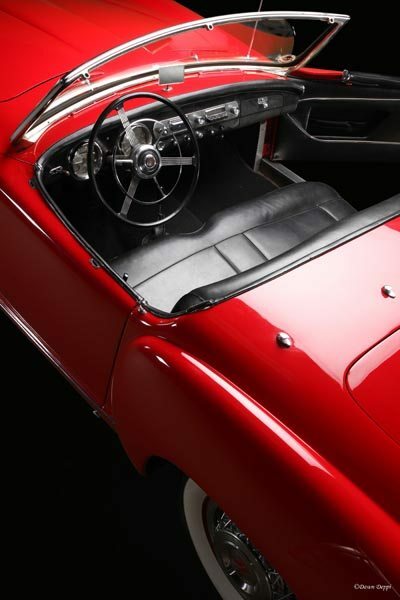 Pininfarina had delivered on the styling revision and the coachwork was now more rounded and appealing and despite changing from alloy to steel coachwork it actually weighed less, which added to the performance. 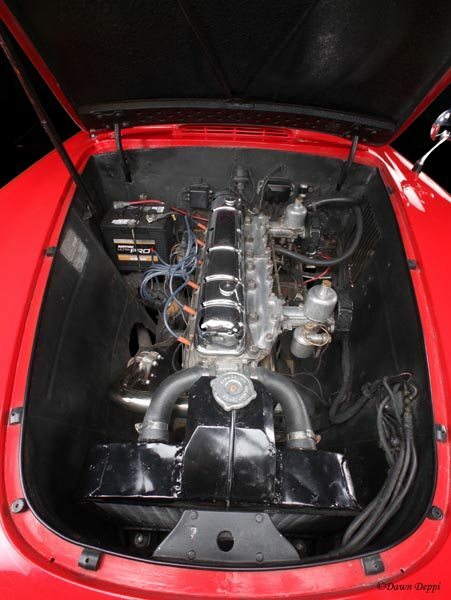 The early cars retained a reworked and improved 3.8 liter Dual Jetfire engine, still with the twin SU carburetor set up but later cars gained the uprated 4.1 liter unit which was now fitted with twin Carter carburetors. Racing success continued with Coupe taking third place overall at Le Mans that year and on the show front, a 1953 Nash-Healey hardtop coupe was awarded first prize in March at the Italian International Concours d’Elegance held at Tresa, Italy. The Nash-Healey was a powerful GT car but the Anglo-Italian-American hybrid was expensive to build. With a sticker price in 1953 of $3,982.00, it was not for the faint hearted. Just 252 further coupes and roadsters would be built until the economy of scale killed the production. The 1952 we photographed in Auburn was one of just 150 Nash-Healey Le Mans Roadsters were constructed that year. Chassis number 2241 offers matching numbers in the highly desirable Le Mans specification its 3.8 liter Dual Jetfire Nash engine and overdrive in 2nd and top gears gives this sporting GT considerable performance, fully capable of staying with modern traffic. This car was the beneficiary of great care and maintenance throughout its life. While little is known of its ownership history it has clearly been well restored and the patina suggests that this is 8-10 years old. During the present ownership of 5 years it has been serviced and set-up by Alan Taylor in Escondido and is regularly driven to shows and events by the owner. It retains its original AM push-button radio and the beige cloth soft top and side screens are virtually unused. An ideal candidate for the California Mille and many other prestigious touring events, the Le Mans roadsters offer a proven record of comfort and reliability plus easy maintenance costs that few ‘world cars’ can match. 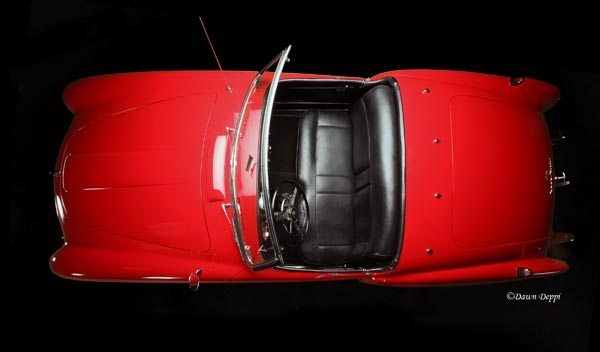 If you have a Nash-Healey or another collectible you’d like to insure with us, let us show you how we are more than just another collector vehicle insurance company. We want to protect your passion! Click below for an online quote, or give us a call at 800.678.5173.